Weekly Wolverine Watch 1: Captain America #697 – AiPT! One down, eight more to go. The time has come, True Believers! Wolverine is back in the land of the living, and popping his head in to check on all your favorite heroes! Because while the popularity of Marvel Comics is sliding, everyone loves those movie post-credit scenes! Captain America #697 contains the first of nine planned Wolverine sightings and … well, it’s not very exciting. Logan shows up to a bar Steve Rogers got drugged in and dragged out of early in the issue. He’s a little late. It’s hard to imagine that people will buy books they don’t ordinarily for literally one page of content that doesn’t actually lead anywhere. What say you, gentle reader? 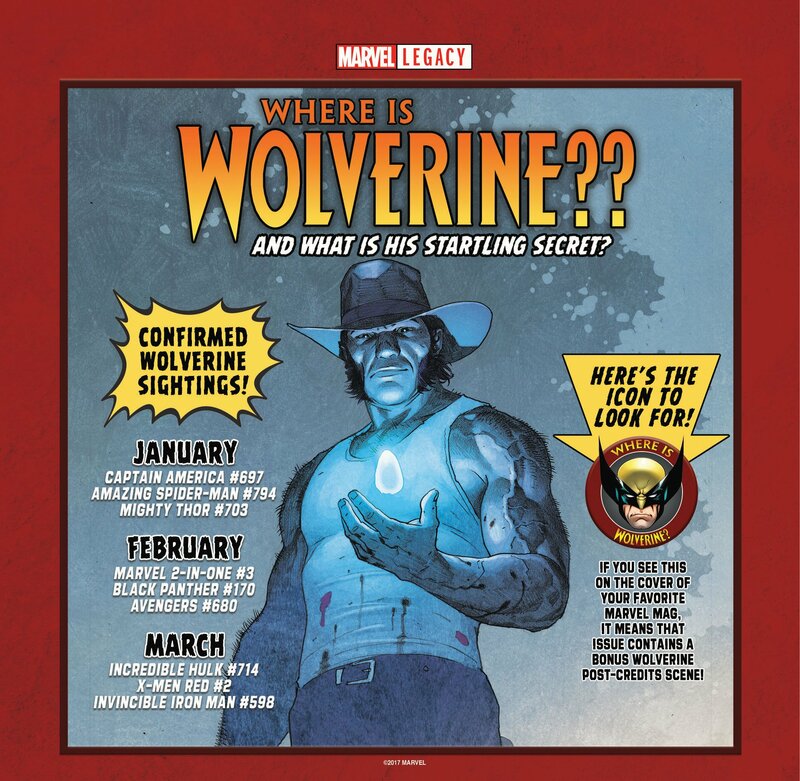 Are you excited for the “Where is Wolverine? ?” campaign?